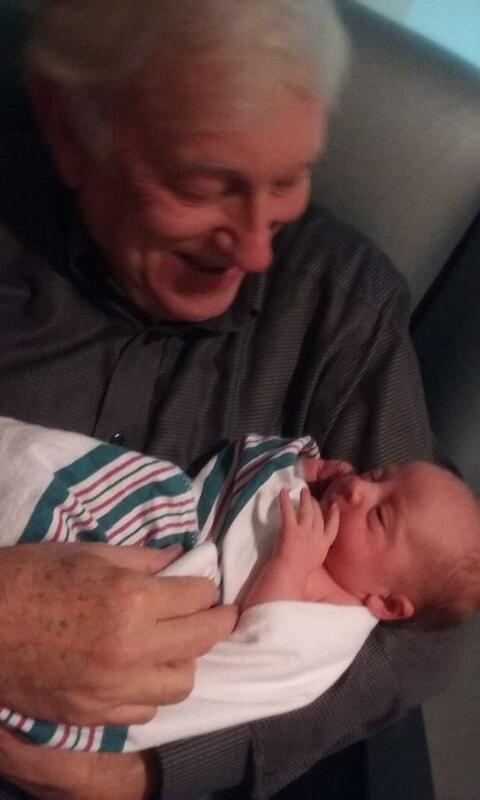 A Disgruntled Republican in Nashville: I am the proud grandfather of a baby boy. I am the proud grandfather of a baby boy! On Tuesday February 5th, my daughter Rachel Anne Williams Bennett gave birth to a healthy baby boy. His name is Cova New Bennett and he weighted 8lb and 1 oz and was 20 inches in length. He is the prettiest baby you have ever seen! Rachel is married to Joshua Bennett and they live in New Orleans and have lived there about five years, moving to New Orleans shortly after they got married. Cova was born at 10AM on Tuesday. I flew down and was there by about 5PM and got to hold my new grandson. I spend the night and visited the hospital again the next day and flew back to Nashville Wednesday evening. Due to my wife being an invalid and needing constant and total care, it can be difficult to get away. I appreciate Louella's care giver, Sue Deuss, for working around the clock so I could make the trip. I am so glad I did not miss this glorious event. I hope I get to return often to see him as he grows, even if my stays are short. Rachel is my only child and I was beginning to think I was not going to be a grandfather. I am so happy!